As Dry as a Desert! Pedro45 is taking advantage of not being required to work flat out (and then some) during July for a change, and is off on his summer holidays. I suppose that this ranks with some of the other news concerning Charlton, such is the sparseness of interesting information doing the rounds regarding the club. I don’t really know if this summer has been quieter than any others in recent memory, even though it does seem that way; it is possible that as some of the bloggers (myself included) have found themselves without work, then we have been online rather more than previously, and seem to find nothing worthwhile in our broadband travels? So where are we with everything and where would Pedro45 like to see Charlton when he gets back? The Board have consistently stated that if there is new money available to the club then they will consider each and every potential investor as they come along. If the club is actively seeking new investment, as may be the case, then that is to their credit. If Peter Varney has been helping with presentations etc, then I don’t see any problems. I doubt anything is going to happen soon, as Derek Chappell is on holiday I believe, which was the reason why an original June date for him and Richard Murray (left) to meet with fans was delayed until July 9th. Rumours of Irish investment, because we are going on an Irish pre-season tour, or links with North London businessmen just seem to be grabbing at straws. If anything happens, then great; if not, then I am still confident that this Board is in a position to back the club and get finances off the field back on an even keel. On to the out of contract players: Four have been made offers, and I would wish them all to re-sign and commit to the club. I cannot see any reason to offer Zheng Zhi a contract unless the club is financially able to pay the course of it, and if that includes a sponsorship element, then fine. I am hoping that as no other news has come out about ZiZi then he may sign with the Addicks again – he has said he likes playing for us! However, he may end up overseas, and he could have a good career in the top French league (for instance) where his perceived lightweight-ness would not be a problem. The same seems to apply with Jon Fortune and Matt Holland; no rumours have been around about other clubs wanting them, so hopefully they will also take the money on offer, and don the red shirt once more. Darren Randolph was speaking with the management last Thursday, so signs are he will put pen to paper too. Those who the club have decided not to offer contracts to will have been asking their agents to work hard for them, and I do think it possible that one or two may train with the Addicks while looking for a new club, and maybe, just maybe, one or two may be offered short term deals if not sorted by August and if Charlton need them. But, I wouldn’t hold my breath about these players, as many just aren’t worth keeping on the payroll whatever the situation! Some new players have been linked with the club, and it does seem that Miguel Llera may have signed on the dotted line after ending his contract at MK Dons. Others who were strongly linked with Charlton recently have chosen other clubs (Clark – Huddersfield, Feeney – Leeds, etc). I do think that the main influx of new players, if we are to see much movement, will happen later in July, so the club can save a few weeks wages – these are hard times! This might upset some fans who wanted the squad to be all in place and ready by the return to pre-season training, but that is unrealistic and does not mirror what is happening at any other third tier club (Millwall for instance have many out of contract players and are at risk of losing some of their “stars” too, yet they cannot act until the know if players are staying or leaving…). That could also be the case at The Valley, where rumours abound regarding our "stars", and which club is "certain" to be signing them over coming weeks. 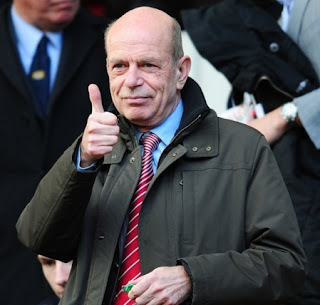 It would not surprise me in the least if Charlton were financially forced into selling one of our better players, but I still hope that the season starts with Shelvey, Bailey, Racon, Sam, and Dickson available. If we do sell, then that may in turn finance movement into the club, and Pedro45 wouldn't mind at all seeing ex-loanees Graeme Murty and Tresor Kandol back in SE7 playing for the home team! I also suppose that the return to training may end Steve Gritt’s cricket season; Gritty, once of Hampshire second team, has been playing for Downham and Bellingham, who are also Paddy Powell’s cricketing home, and took five wickets in a game earlier in the summer. And so on to the manager situation: This is strange, and if I do have a criticism of the board then it is here, and it concerns their failure to back up previous statements with action. 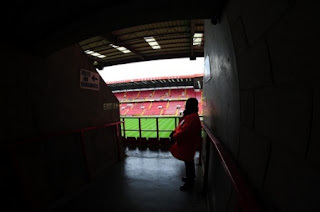 It was made quite clear when Charlton were relegated in mid-April that a decision on the management team would be made in an end-of-season review. That review must have happened by now, yet we have had no statement saying that Phil Parkinson is going to remain as manager, or he is not. Why? 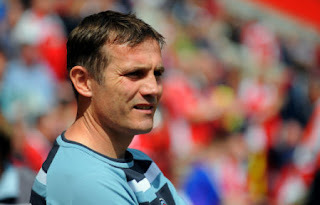 The uncertainty may have helped or hindered season ticket sales with plenty of fans saying they would not renew until they knew who the manager would be, while others may have renewed as Parky hadn’t been given a new chance. Rumours then start to circulate, and the forums abound with tales of Mark Kinsella clearing his desk at Sparrows Lane; of Paul Ince driving into The Valley car park; and Arabs eating ham sandwiches in the Board room – all poppycock! However, early communication would have prevented all this, and even if there isn’t much other news, at least nerves would have been settled and we could look forward (or not) to a new season. What does seem to have happened, and I’m sure that this will be made clear on the OS prior to the fans meeting in ten days, is that Parky is to be the manager, with Kins as his assistant, on their current contracts (which haven’t changed since prior to Pardew leaving), and they have a year to go on those contracts. Of course, a bad start to the season may change all that, but a good successful season may see them given new and improved contracts. With the lack of money, this does seem to me to be the best option available at this stage. The number of season tickets sold does seem encouraging; many blogs were predicting less than 10,000 crowds on a regular basis next year, but with getting on towards that figure in season tickets sold already, and with corporate numbers to be added, plus those “free” tickets given out, and walk ups too, we should have something like 15,000 in the ground for the Wycombe game hopefully. Pedro45 took advantage of some of those late renewals by moving seats at The Valley for the first time in some 14 years – after all, a change is as good as a rest! Maybe a different angle will produce improved results? As my holiday involves mainly desert – the remotest parts of the US – then getting much online news may prove problematic. I am hopeful of keeping in touch when I do venture into a town of some kind, but blog updates may be rarer than rain in the first half of July. I can only hope, as many of you do I’m sure, that in the next three weeks all the various bricks that make up our football club start to fall into place, and that when the season starts on 8th August, we are ready, willing, and able to have a great season that gets Charlton back on track. Since a proper roof was added to the West Stand, I've sat in the same seat - but not anymore. It was very easy to do too! I rocked up at the ticket office, had to wait a few minutes while three guys sorted out their East Stand seating arrangements (they all wanted to sit together for the first time...), and then told the guy behind the window what I wanted to do. I would say he was very helpful, but actually he was so used to dealing with such requests that his politeness and excellent customer service came as second nature to him. When we had the temporary stand on the West side, I sat nearer to the covered end (North Stand in modern day parlance...), quite near the back. When the existing structure was first built, I gave over my preference (near the half way line and about six rows back please?) 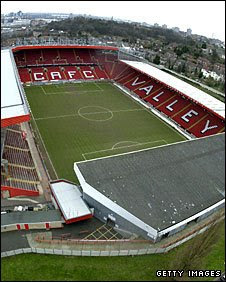 as this was about where we (my father and I) had stood both at The Valley and when we played every game away. In fact, at Upton Park, my allocated seat (even though it had someone else's name on it...) was right next to the away dug out (six rows back...), so I really just wanted to replicate that. The staff at that time met my requirements exactly, and the bonus was that we were within spitting (or preferably hearing) distance of the away dug out. Sadly, the central post that was in place holding up the stand roof at that time partly blocked my fathers view of the Northern goal, so he wanted to move. He went down to the club in midweek, was given four options and wrote them all down for me to try out, which I did prior to the next home game, sitting in each pair of seast in turn. The option I chose was at the far end of the same block we were in but three rows farther back. Now, after about 14 years in the same seats, I have switched them back again to almost (two rows farther back) those that I had originally been allocated in 1995! You can see my new seat in the picture above, though I know that's not giving much away! I just hope that my return to that end of the block sees a better average points return than my old seat did over recent years! Seats sorted, I left the man behind the window to deal with the small group of other season ticket holders that had built up in the five minutes it took to deal with me. I then popped into the club shop - and the four staff inside looked happy to see a customer - for a quick trawl around buying a few bits and pieces (including a new baseball cap for my forthcoming holiday!). I was surprised by the lack of stock on offer, which I suppose is good just prior to a new season - I just hope that they can fill the shop with something prior to August 8th! Ever Wondered Who Prints the Programme? According to Printweek, Charlton have just awarded the print contract for the programme and other print work to Bishops Printers of Portsmouth. With 130 staff, Bishops apparently take "enormous pride in our work and fully understand the importance of close attention to detail", so hopefully we will not see any printers errors in the programme at any stage this season. Of course, printers errors are few and far between, as the mistakes tend to creep into production well prior to the print stage. That said, when the Club produced a celebration publication after the Leeds play-off game in 1987 it did have the black plate reversed on the front cover image so we are not immune. One for the collector's I suspect! Graham Dougherty is the man at Bishop's responsible for getting the programmes to SE7, and I hope that the late printing schedule does not cause any delay. Bishop's were Portsmouth's shirt sponsor for two years earlier this century, and also print other club's programmes, including some in London (a Fulham programme is pictured on their website and they publicise the win of the Chelsea programme contract too). Of the unfavourbale matches, Millwall visit The Valley just before Xmas, and the return fixture is in March; Leeds feature in Charlton's last home game of the season. Boxing Day sees Charlton at home to Swindon, while Easter Monday features a nightmare journey for Carlisle fans as they travel to SE7. No kick-off times have yet been confirmed, as TV schedules and local preference may have some influence; expect these to be agreed over coming days. Finally, finally, we have some firm news over player contracts, and not just the rumour mill that has been in overload-mode over recent weeks. The official website has confirmed that Matt Holland, Darren Randolph, Zheng Zhi (left) and Jonathan Fortune are all to be offered new deals at The Valley, and I support the offer to each of them. Whether they take the money on offer which, in almost every case, is likely to be less than they were previously paid is open to conjecture, but I hope the salaries on offer are sufficient to see them all sign new deals. I hope they do, but it wouldn’t surprise me to see ZiZi go elsewhere, and Randoph consider his future in SE7 too. Holland and Forch are two of our longest serving players, so hopefully that loyalty is being rewarded somehow, and they will stick around the club. Less fortunate are the players who are not being given another chance, and once more, I have to support all of the decisions. We can wave a collective goodbye to Harry Arter, Darren Ambrose, Svetoslav Todorov, Nicky Weaver, Aswad Thomas and Rashid Yussuff, and wish them well in their future careers. With rumours that Ambrose, Arter, and Thomas have all agreed deals elsewhere, their names are not a surprise to be missing from the wish-to-be-retained list. 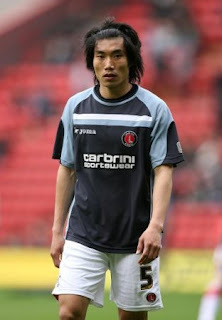 I suppose that there is a slight possibility that Weaver, Todorov and Yussuff could be back at The Valley come August, but if they have failed to find a suitable offer anywhere else, then anything that Charlton may put on the table will be well short of even their current wage. Also off, and no surprise here, is Josh Wright, and the wording in the official statement make sit clear that he will not be missed. When you think about it, all of the players being release have given little to Charlton over the years they have been in the squad; some have offered more than others, but none will go down in history as a success, and for that, they can firmly blame themselves. Discussions, as rumoured, over new signings are also ongoing, so maybe there is some smoke behind the fire that has linked the Addicks with Llera, Clarke, Small and some others?